What happens when two of the biggest egos in games media lock horns in a head-on debate over Grand Theft Auto? Two of the most outspoken men in the games violence hysteria will draw their lines and discuss the mother of all interactive hot potatoes -- Grand Theft Auto IV. This week's episode is, as you guessed, all about the Grand Theft Auto series and its controversial history. 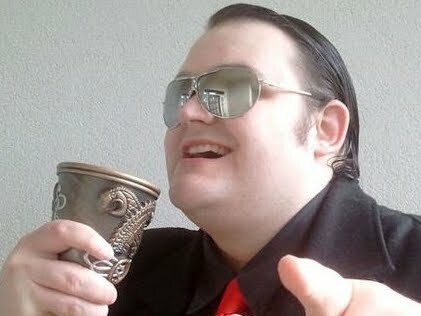 The usual crew of myself (Jim Sterling), Wardrox and Atheistium will be joined by community member Insomnia to share the years of Hari Krishna roadkill and prostitute savagery that we have come to know and love. And yes folks, you read that right -- in a special one-on-one confrontation, Jack Thompson has agreed to step foot inside The Podcastle and share his views on the Grand Theft Auto series. I intend to ask Jack exactly why he is so tenacious on the issue of game violence and what, exactly, he wants to change. The debate has never been anything more than one-sided, whichever side of the fence reports. Now, for the first time, both sides will have their chance to speak and discuss. It's Sterling. It's Thompson. It's only on The Podcastle -- Live (except pre-recorded actually) on Destructoid.com!